Strawberries are in season down in our neighboring state and they have been absolutely perfect and delicious the past couple weeks. We had some friends over for dinner and I decided a dessert with some sort of strawberry twist would be appropriate. 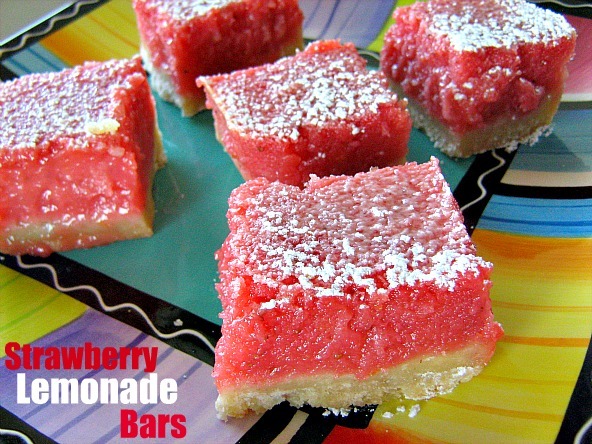 I had 6 lemons that looked like they wouldn't last much longer, so I decided on these bars. They are a combination of a classic lemon bar with the added flavor of pureed strawberries. My kids and our guests really liked these bars. I tried a small slice and thought they were very good. Not too sweet, lemony and the perfect way to end fun dinner. I have a thing for making different kinds of hummus at home. I've come to realize that you can make any kind of hummus you want. I saw a recipe for Black-eyed Pea Hummus and it sounded really great. Over the past few summers, I have been able to try fresh pink-eyed peas and purple-eyed peas and have acquired a new love for any color of eyed peas. They are delicious fresh and cooked and I knew this hummus would be delicious. 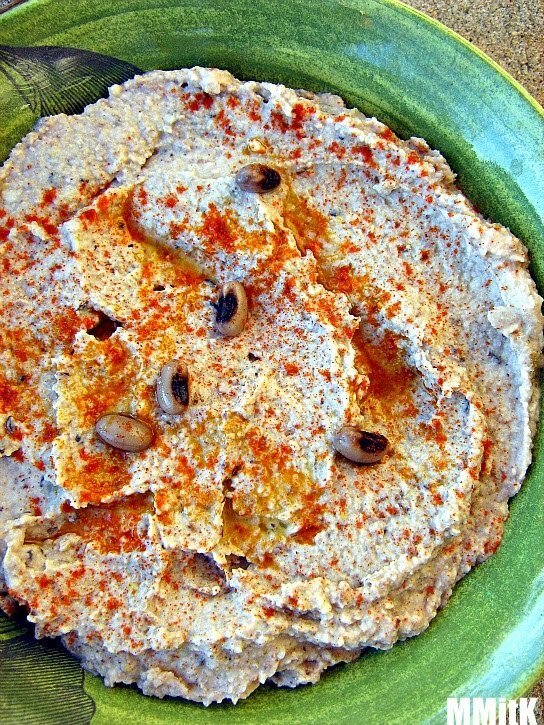 I found a few containers of fresh black-eyed peas and cooked them to make this hummus. I just served it with fresh cut up veggies and it was delightful. When I tried it I thought that it might be my new favorite hummus. Try it and see what you think. I have fond memories of my mom making cornbread in a cast iron skillet when I was a kid. My siblings and I would enjoy a warm piece drizzled with honey. It was a special treat. I don't get to eat cornbread very often now, simply because no one in my family really likes it and I don't want to eat an entire pan of it. And, it can be a very unhealthy food. Because of all this, I was very excited when I spotted a recipe for Whole Wheat Cornbread in a recent issue of Food Network Magazine. 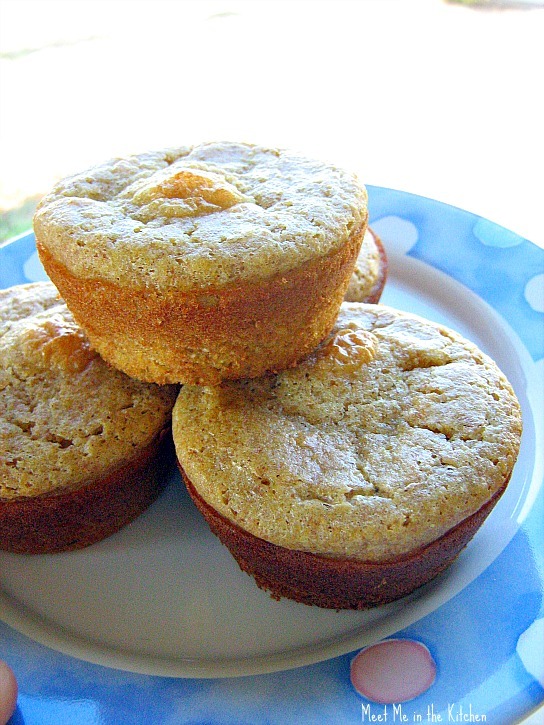 It used whole wheat flour, a small amount of honey as a sweetener, and buttermilk. I made it a little bit healthier by swapping canola oil for the melted butter and I used nonfat buttermilk. I decided to make these into muffins since those are easy to freeze and enjoy as a single serving. Much to my surprise my 5 year old really liked these. One by one, maybe I can get my family to like cornbread. This recipe is a great way to start that trend.